Our vapor condenser is very helpful brewery equipment used for condensation and removal of vapors generated in boiling equipment during the brewing process. 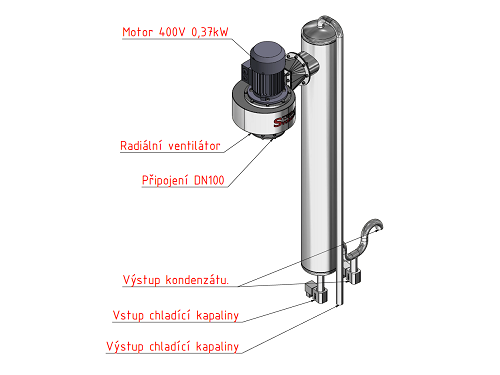 The vapor condenser OKP 1000 allows suction of vapor from the kettle by ventilator and subsequent condensation in a tubular heat exchanger. From the heat exchanger goes only condensed liquid of substantially lower temperature. Drinking hot water (cooling medium before) outgoing from the heat exchanger can be collected in the hot water tank for later use. 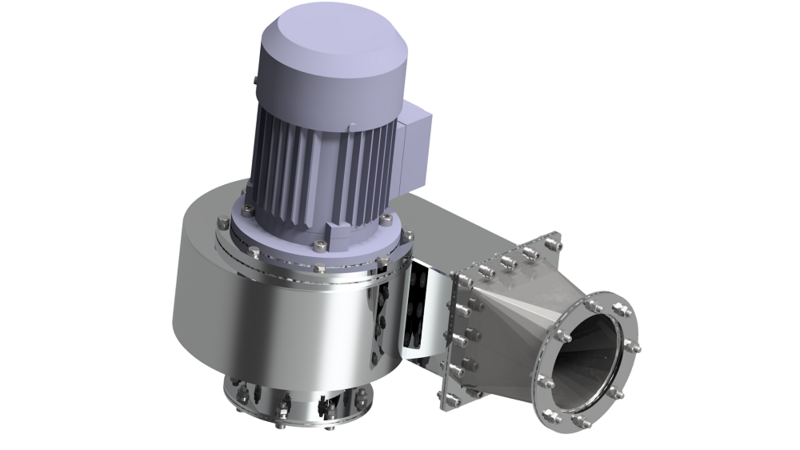 Separate full stainless steel radial fan with optional connection to ventilation and extraction of extra vapors in food production.